In his much-anticipated new audiobook, Robin Sloan does for the world of food what he did for the world of books in Mr. Penumbra's 24-Hour Bookstore. Lois is no baker, but she could use a roommate, even if it is a needy colony of microorganisms. Soon, not only is she eating her own homemade bread, she's providing loaves daily to the General Dexterity cafeteria. The company chef urges her to take her product to the farmer's market, and a whole new world opens up. When Lois comes before the jury that decides who sells what at Bay Area markets, she encounters a close-knit club with no appetite for new members. But then an alternative emerges: a secret market that aims to fuse food and technology. But who are these people, exactly? 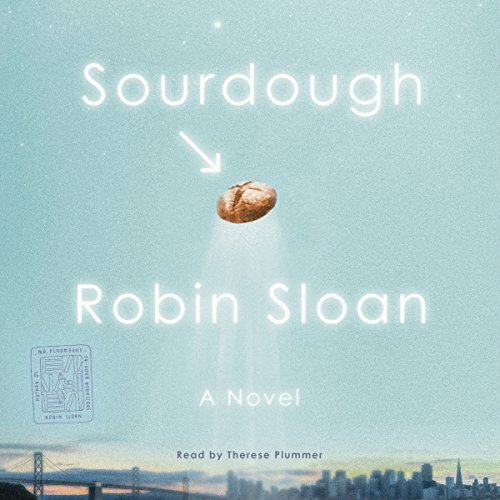 Leavened by the same infectious intelligence that made Robin Sloan's Mr. Penumbra's 24-Hour Bookstore such a sensation, while taking on even more satisfying challenges, Sourdough marks the triumphant return of a unique and beloved young author. What a delightful book! 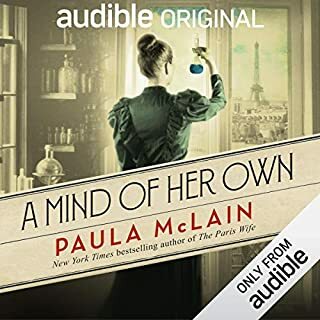 It was a fun read, wonderful narration, kept my interest, and put a smile on my face. If you like cooking, Technology, food science, and a little bit of whimsy and magic, you will enjoy every bite you take of this book. The story was particularly good in audio book format. Highly recommended..
A New Robin Sloan Book? Yes!! Delighted to find a new Robin Sloan book out. 4 years seemed a long time to go without his particular brand of adventurous discovery into worlds I could never imagine on my own. The pace and timing of each new discovery keeps you going and eagerly imbibing the sumptuous fare his books provide. As the audio book was downloading I wondered how the brief story the cover artwork told would unfold into one of Sloan's rich and rewarding novels.I did not read the summary past the first paragraph, as I wanted the story to unfold on it's own, nor was I put off by the fact that I don't like sourdough bread in the least. I knew there was an engaging story to be had and I was not disappointed. If you've listened to one his books before, you aren't reading any reviews to make up your mind, you're already downloading the book. If you haven't read or listened to one his books, then treat yourself, get comfy and enjoy the ride. When it's over and you want more, go get "Mr. Penumbra's 24-Hour Bookstore". You'll be hooked. 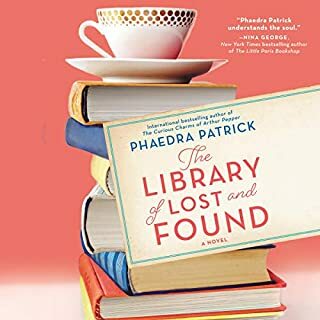 I loved this novel and would rate it 4.5-5 if I had read the book. Sadly, audio execution was lacking. While the voiceover artist had talent and it wasn’t her fault, lack of oversight resulted in mis-pronunciation of three key words—Clement (street), Cabrillo (Avenue) and Alameda. These words were so oft-repeated in the story and so critical to it, listening to them mispronounced made it painful after a point, and made it feel like the audio rendering was an afterthought. Narrator should familiarize herself with pronunciation of street names of the locations in the book. Mispronouncing "Clement" street throughout the book was totally distracting and annoying. The story was fantastical and ridiculous. The humming of the sourdough starter was challenging to listen to. It is well written and i was intrigued at the start but to me the last third of the book started falling and by the end it was flat and left a slightly bitter aftertaste I didn't enjoy. 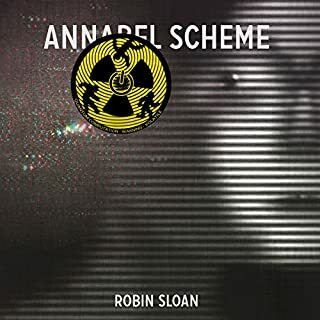 Also being from the SF bay area I loved the authors authentic descriptions of the area but cringed at the narrators continuing mispronunciations of Cabrillo and Alameda to the point I was cringing. .
On the evidence of two novels, Robin Sloan does “cozy conspiracy theory” novels. Mr. Penumbra’s bookstore was about a mystery sitting inside a city and waiting for someone to solve it, and this one is similar: our protagonist inherits a sourdough starter that is somehow sentient. It isn’t clear where the starter comes from nor what it ultimately wants, but there’s a perpetual sense that the pieces will somehow come together. [Spoiler alert:] They don’t come together all that well. We discover at the end that the starter has a semi-conscious plan to take over everything, which is a fun idea, but it doesn’t square with the tone of what’s come before. There’s a sweetness in the dough; it produces loaves with faces that either look stolidly out or, as the baking progresses, smile warmly. And it’s a lot of fun that the dough enjoys music. 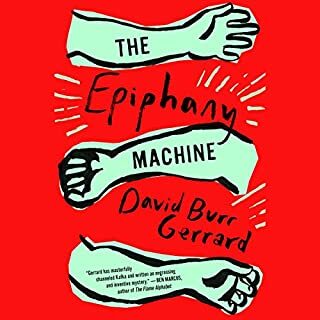 It also loses the most interesting intellectual element: the idea that there’s the possibility of marrying the power of technology – represented here by robot arms – with the art of simple living. So, if I were being ruthless here I’d have to hold the disappointment of the end against this. A bit like Penumbra, this one feels as if the rules change a bit at the end. Each is a fabulous concept (and I mean “fabulous” both in root sense and as praise) but Sloan doesn’t entirely sustain it. Another part of me, though, says I should get over it. Maybe someone else would be less taken by a library that’s deeply connected to a decades-old mystery. And maybe someone else would be less pleased by an intelligent sourdough starter. As it happens, I’ve worked in libraries, and I have a sourdough starter in the fridge that’s given me close to fifty loaves and has lasted 14 months. If there’s a trivial quality to some of what Sloan does – I can’t for instance, entirely overlook the privileged nature of her protagonist who inherits this wonder without questioning her worthiness – it’s a trivial aesthetic I share. There’s a joy to the ideas here, an inventiveness that carries a bit of wonder into our everyday world. I wish I liked the tone more, and I wish she’d shown more narrative control, but, if there’s anything to the old saying that the proof is in the pudding, I’ll admit that this is pretty good sourdough. When I concentrate only on the joyful conspiracy theory at the heart of this, it makes me happy. Taken for what this is, fun escapism, it’s just the recipe. The story is generally OK although I kept waiting for something important to happen which never did. The performer mispronounces several SF Bay Area place names (CaBRILLo for CaBREEyo and AlaMAYda for AlaMEEda) which took me right out of the story every time. I loved this book. I really loved it. I loved the performance too. Seriously. But the mispronunciation of Alameda, and island close to my heart, is unforgivable. 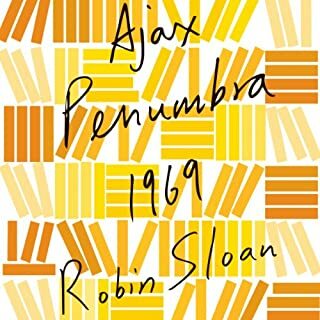 I really enjoyed Robin Sloan's first book, Mr. Penumbra's 24-hour bookstore, and I wondered how this new book could possibly meet my expectations. I needn't have worried.Therese Plummer's narration brought Lois' hilarious challenges with her sourdough starter to life and the bonus content was a fun surprise. Listening to Lois bake day in and day out, bringing loaves to her colleagues, makes me want to run to my kitchen and make my own sourdough. Can't wait for Robin's next book! I never would have read this if I hadn't realized that it was by the author of Mr, Penumbra's 24-hour Bookstore because it seemed like it would be rather dull. Instead, it was utterly charming, funny, and one-step shy of magical realism. 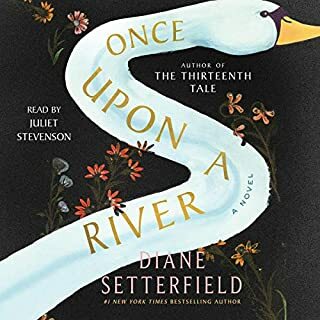 It's just so refreshing to read a book about a women without a romance and kid at the center of the story or at least a large part of the story. I didn't even mind that she was an early twenty-something, because the angstyness that usually goes along with that age group was pretty much absent.